Very cool! Totally agree that more people would seek mental health treatment if they could do so completely or seemingly anonymously via electronic device. It might not be ideal, but if a person tries this as opposed to nothing, then it can only help. WOW! on the one hand i find it bit worrying that this would mean less human contact (and some might argue that with more contact especially manymental health problems would be preventable, but that would depend on the quality of contact etc) this is really interesting and very good news for emotional brain wiring! will you be able to tell us about your app when its fininshed? Yes, I too am interested/concerned about having a device as the intermediary. I’m sure there are both benefits and costs. Only research and time will tell the whole story…. really interesting advanced cognitive neuroscience and application of gaming, mobile technology etc. Really cutting edge brain training. This looks really promising. Thanks for providing this information for those who did not make the conference (or didn’t even know about it until now, like me). Thanks for reading. It really is exciting stuff! Brilliant! Once again, you are blazing a trail and illuminating an important link where ‘common sense’ might suggest there isn’t one. You’ve convinced me–a serious game-skeptic–that mental health practice will be gamified, and that that can be a good thing. Given computers, the internet, and gaming machines have been with us for a long time is it just the mobile devices that are triggering the change you describe? Any of the games or apps could have been in existence for many years but if this is a recent change, tied to mobile devices, what might that mean? Great point. I really think the accessibility and mobility of our devices, which has grown exponentially in such a short span of time, is driving a lot of this. We’re now thinking, jeez, there are so many amazing possibilities for integrating mental health treatment into our daily lives. Let’s do it! And importantly, it’s about breaking down barriers to treatment, which is one of the big bugaboos of the mental health field. For example, for the most common class of psychiatric disorder, the anxiety disorders, only 20% of anxious people receive treatment. Why is this? – of course there are issues of stigma and other reasons people don’t seek treatment. But a HUGE issue is that treatments are time consuming, expensive, and require that you make yourself vulnerable in a way that many people don’t feel comfortable with. So if there is “an app for that” that people can turn to and that can help people even a little – and maybe which can help them figure out how to seek other F2F support, I’m for it. I’m not saying I think all mental health treatment should be digital, but I can see the potential benefit and whatever the case, we’re going there whether we like it or not. So, let’s do it right. And I thought this was going to be about Angry Birds. I find it a bit disquieting that people bypass the professional. We are not all alike, emotionally or in any other way. One-size-fits-all solutions are never ideal. It takes a mind to diagnose. As a clinical psychologist by training, I share this concern. But in many ways, the use of computerized/gamified interventions has the potential to help personalize (rather than over-standardize) help seeking. There is a strong movement now to rethink classical diagnoses by focusing on underlying causes of mental health problems. For example, if you see a patient and they are diagnosed with both anxiety and depression (a common situation) we treat each disorder as a separate entity, so to speak. But what if, instead, we have a body of knowledge that shows us how a set of possible underlying causes could drive both depression and anxiety? We then could do a good assessment to see if we can “stratify” people with anx/dep into those showing underlying Cause A versus those showing Cause B, and provide targeted treatment accordingly. Computerized interventions that target these specific causal mechanisms could be an important, pharmaceutical-free part of the treatment arsenal professionals have at their disposal. For me, that’s the great hope of this approach. In addition, however, I think it’s just a fact of life that mental health will be increasingly computerized and I want to be on the team of those doing it right – not the one-size-fits-all approach you mention. Really enjoyed reading this, gave me a break from the stress of my up and coming exams! I found you again! Yea. Very good post. Very professional and very reinforcing. I am not surprised that monks show that mediatation affects the brain the way it does. I am getting back into that more this year. I am going to find a place safe to do that in nature. You have an infectious smile my sister. Very good indeed. What an excellent read. I especially liked your point about neural plasticity. I’ ma big believer in using this as leverage when training people. Just as athletes practice, practice, practice to learn a physical skill, I think a similar method could be employed to modify modes of thinking. 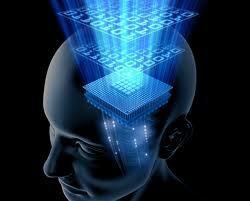 The brain can rewrite it’s own programming. Why not use this feature? I agree 100%! So much of this is about changing habits of thought. A habit feels like something we can tackle. I think the notion of retraining will empower people to make more positive changes and choices in their lives. On another note, something about the way video game are built in story lines makes this even more promising, I don’t recall where, but there was an article on training people to make better decisions, when they look at their lives in the context of the entire story of their lives. I think I saw that article, too! Great point about not only integrating the fun but also having more relevance to our personal stories and lives! In Holland they actually incorporated strong narrative driven VR programs focused on decision making to help psychiatric patients deal with real world problems and gain control of situations and eventually their lives. It’s called ‘ serious games’. I couldn’t find a link to an English site, but you might find some info here (if you are interested ofcourse 🙂 ). So interesting! I have heard the term serious games used in English, too. The Dutch are ahead of the curve here! I will check out the link. Mental health is the need of hour. There is SO much to be said about all this. I will think about it. Thanks for the inspiration 🙂 . This is so true. I, personally, see it as more of a pro than a con. It’s a form of psychological evolution, which will inevitably lead to physical changes over the millenia. Great post! Technology and interdisciplinary research: this is an interesting post! Exquisite neural modeling paradigm!!!!! Star Treks “Hollodom” where each member of the crew talked to the computer to create the reality they wanted, to unwind, relax, experience a different dimension of being, work out their frustrations and creativities was ingenius. Gaming such as sports has been used as a creative way to focus energies and cooperation between teams for groups and individual skill self-mastery. Amazing posts. As a Gamer and a mental health professional it was heaven to devour this post. I could not agree more with you in making the process of therapy fun and appealing. I’m always thinking of ways to make my sessions not only impactful, but also fun for the client – not every single topic discussed in the office is a serious one. Though I prefer and believe personal interactions with the client are the best method, who am I to say an app is not going to help certain individuals? People find a myriad ways to cope with life’s negative experiences in numerous ways – and an app may just cut it for some. Again, amazing post. Thank you! It’s so great to hear from someone with a foot in both worlds. You have a unique perspective. I agree that we need to capitalize on bringing fun and joy to the therapeutic process. Why shouldn’t positive change also be fun, not only hard work? I believe it’s because of people’s misconception that therapy needs to be serious and boring – which is NOT the case. Personally, I cannot wait for virtual reality technology to blossom. I know of a few centers in the U.S. that provide virtual reality therapy, but the graphics look too “gamey” and “blocky” – which I don’t believe is that efficient. Check out Skip Rizzo’s work on Virtual Reality therapy for combat vets – I linked to his website in the blog post. Some of that stuff is getting much less “blocky” especially compared to VR several years ago. Great information, the explanation is very very good thanks for sharing such information. I share a concern as to the nomophobia as I am one of the many people who use their phone a lot. I believe that the technological generation is causing many to be reliable upon their mobile phones and not knowing the meaning of real communication, and this blog does a good job of informing other of it shows that people do tend to become anxious and fidgety when they forget or have lost their phones.